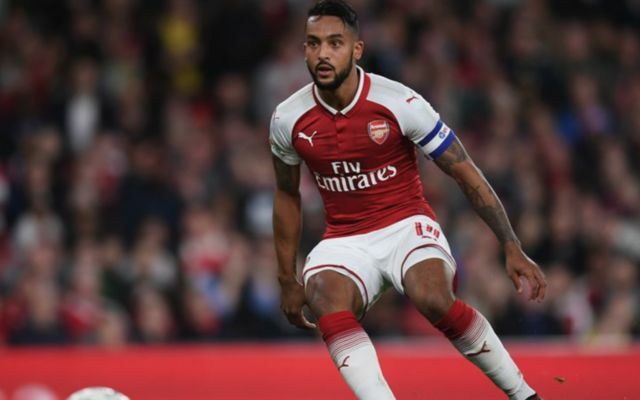 Arsenal manager Arsene Wenger has basically said he’d rather keep hold of Theo Walcott than seal a transfer move for Borussia Dortmund star Pierre-Emerick Aubameyang. Recent claims from Gianluca Di Marzio, translated by the Metro, suggested the Gunners were interested in a move for the £53million-rated attacker, who has been one of the most prolific players in Europe in recent years. Still, when asked about the possibility of signing the Gabon international this January, Wenger immediately ruled it out, showing a lack of ambition in the transfer market once again. With Alexis Sanchez nearing the end of his contract at the Emirates Stadium, a big-name signing up front is surely needed before long, but Wenger went on to suggest his only master plan is to keep hold of Walcott, who has barely played this season. Pierre-Emerick Aubameyang to Arsenal to replace Alexis Sanchez? ‘No, it is not a possibility,’ Wenger was quoted in the Independent when asked about Aubameyang. This seems far from ideal from Arsenal at a time when their attack looks set to become seriously depleted, with Mesut Ozil also heading towards the end of his contract. Walcott has never truly been a consistent performer for the club and many will wonder why he’s been kept on for so long when many better players have surely been available.